It is difficult to overstate the massive transformation that is occurring in the automotive industry. With the advent of autonomous, self-driving cars, we will no longer drive cars. Cars will drive us. And they will provide a platform that will help us manage almost all aspects of our life. At the same time, vastly new technologies in energy storage and distribution are creating major changes in electro mobility. Automakers are in a race to market cars powered by systems that are reliable and practical for long range but which have very short charge times. Robust IP portfolios are supporting these efforts and the market is growing crowded with protection for the many components and processes related to this new industry. Even more profound is the IoV transformation. 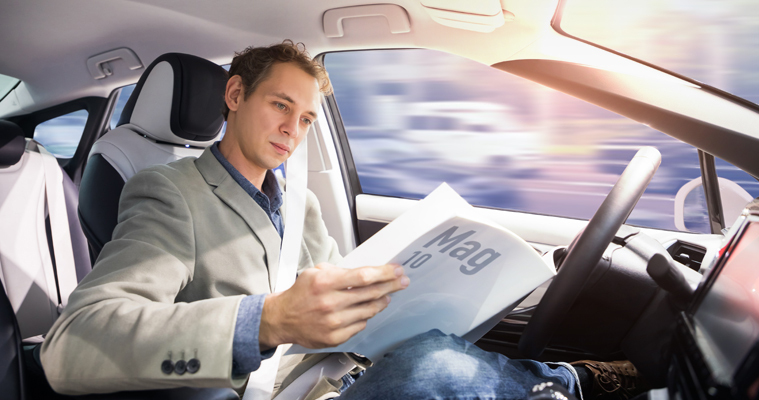 IM and associated vehicle technologies are converging data and digitization with traditional cars to yield a truly new frontier for personal transportation. With your smart vehicle you will be able to simultaneously travel and manage essentially all aspects of your life. By combining IoV with IoT, carmakers and their business partners will provide tools allowing you to complete your banking, refresh the load of laundry from the morning, buy food and have it delivered, or have dinner prepared and waiting, all with just the movement of your eyes on the inside of your windshield while being driven home from work by an autonomous car. A significant additional aspect of the IoV phenomenon is the massive amount of data which is and will increasingly be generated and used. Hundreds of aspects of each car’s performance can be transmitted and stored to yield unprecedented volumes of data which can not only be used to enhance the driving experience, but which will be monetized and sold. Windshield wiper operation can be tracked and used to automatically order new wiper blades after a certain usage time has been reached. But when multiplied by millions of cars and coupled with GPS, that data can be used to record historical weather patterns. Chassis and suspension data can also be coupled to location and used to determine areas in need of infrastructure repair. The possibilities are endless – the magnitude of data generation and usage is likely not even completely understood at this time. What we do know, however, is that it raises ownership issues, privacy issues, cybersecurity issues, and ultimately new needs for IP protection and licensing schemes. RP is particularly expert on these transformations because we have for decades been at the forefront of technological developments in engines, transmissions, electric vehicle charging systems, sensor systems, electrical systems, energy storage, data, digitization, power, chassis, electronic control systems and cybersecurity software. Our technical skill sets include mechanical engineering, electrical engineering, software, physics, commercial design, and materials science. This breadth of experience enables our team to understand sophisticated products and systems that merge together different technologies, especially as electrical and mechanical technologies become intertwined in autonomous vehicles. With all these seemingly overwhelming changes occurring at ever-increasing speeds, one might wonder what cars will look like in a few years. We at RP believe that one thing will remain the same – people’s desire to own beautiful cars. We have also been at the forefront of IP relating to the design and protection of the artistic features of exquisite automobiles. That is why we decided to formalize our team of experts into a group outwardly committed to focusing on the car of the future. From car makers, to engineering companies, to tier 1 and tier 2 suppliers. We know cars. We know technology. We know design. And we know the law that protects all of it. Notably, our attorney force goes well beyond the norm, having on our team not only genuine automotive enthusiasts, but a former race car driver, pit crew member and auto mechanics. We are a firm of the future working with carmakers of the future. If you want a team of experts not only in the law and technology, but in your business, we are ready and able to add you to the list of companies moving us to the car of the future.